In Texas, laws governing the sale of alcohol can be complicated and confusing. Texas politicians love to portray the Lone Star State as a mecca for free-market capitalism and low regulation. But those lawmakers might want to take a gander at their state’s byzantine alcohol policies. From banning Sunday sales of bottled liquor to prohibiting craft brewers from selling beer to-go out of their taprooms, Texas has some of the most heavy handed alcohol regulation in the country — largely thanks to special interests groups that like the laws just the way they are. This session, the Texas Legislature is biting into a once-in-a-dozen years opportunity to overhaul alcohol laws through the Sunset process. Every session, 20 to 30 state agencies are reviewed by the Sunset Advisory Commission, a state agency in charge of evaluating the effectiveness and worth of other state agencies. And this session, it’s the Texas Alcoholic Beverage Commission’s turn. The stakes are high — the full Legislature must pass a Sunset bill of reforms in order for an agency to continue operations. Legislators and stakeholders have emphasized that the TABC Sunset process will focus on effectiveness and efficiency. But it’s not unheard of for lawmakers to attempt to pass policy amendments to Sunset bills on the House and Senate floors. In a process where virtually any reform could be contemplated, here are seven unusual Texas alcohol laws. In many other states you can get booze at Walmart and Costco. Not in Texas. Thanks to powerful lobbying from homegrown liquor store interests, Texas is the only state in the nation that bars publicly traded corporations from holding liquor permits. You can thank the powerful package store owners for that. The law prompted a lawsuit which now sits in the 5th U.S. Circuit Court of Appeals. The fight began in 2015 when Walmart sued the TABC, arguing the law is unfair because it shuts publicly traded corporations out of the marketplace while allowing family-owned chains the right to an unlimited number of liquor store permits. The Texas Package Stores Association intervened as a defendant in the suit, and appealed to the 5th Circuit after the law was struck down by U.S. District Judge Robert Pitman last March. Critics have said the law is an example of a unnecessary cap on the ownership of liquor stores. But in a brief filed to the 5th Circuit Court of Appeals, the package stores association said the law helps reduce the negative consequences of higher per-capita liquor consumption by limiting where liquor can be sold. For now, the Texas law remains in place, but one lawmaker has filed legislation to repeal it ahead of the 5th Circuit’s opinion. House Bill 3713, filed by Rep. Chris Paddie, R-Marshall, would repeal the ban on publicly traded corporations owning liquor permits. The bill has yet to receive a public hearing. Only in the arcane Texas liquor code does the state of Texas tell business owners they can expand only if they have the right bloodlines. Liquor stores, which are also known in the law as package stores, are theoretically limited to five permits — with two exceptions. First, those who owned a liquor store before May 1, 1949 can have as many permits as they want. The exception only applies to four of the more than 2,600 liquor stores across the state, said Sen. Brian Birdwell, R-Granbury. The second exception, commonly referred to as the “consanguinity exception,” allows a permit holder who has a parent, child or sibling who’s also in the liquor store business to join forces and get as many liquor permits as they want. That’s how giant family-owned chains like Spec’s and Twin Liquors each have been able to build dozens of stores around the state. Only seven liquor store companies benefit from the consanguinity loophole, according to the Texas Package Stores Association. 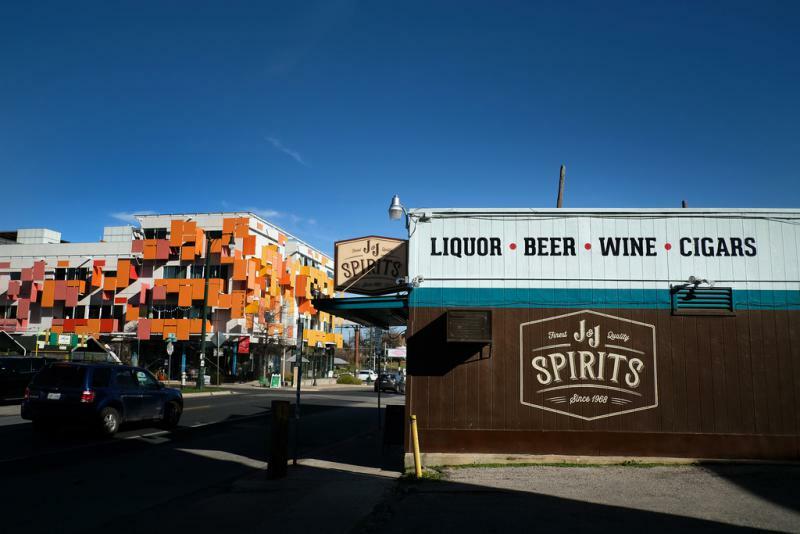 “You can have as many grocery stores, bars, restaurants, clubs as you want, but package stores are the only ones that say unless you have the right family structure or if you were in business over 70 years ago that you can have more than five,” said Dale Szyndrowski, vice president of government relations and Texas lobbyist at the Distilled Spirits Council of the United States. Birdwell is trying for the fourth time to abolish the law, this time with Senate Bill 645. The bill would repeal package store restrictions and consanguinity exceptions. During both the 2017 and 2015 sessions, the bill passed the Senate but never made it out of a House committee. “We [shouldn’t] wait on the courts to get to the right conclusion when the capacity to do so is before us,” Birdwell said at a House Licensing and Administrative Procedures Committee hearing. Forty-three other states allow liquor sales on Sundays. But Texas is one of the few remaining states with “blue laws” in place, which limit the sale of certain goods on certain days of the week. Most blue laws were repealed in 1985, with two exceptions — liquor stores and car dealerships. While restaurants, bars, and grocery and convenience stores can all sell alcohol on Sundays, liquor stores cannot. Under current law, Texas liquor stores cannot operate on Sundays and can only remain open from 10 a.m. to 9 p.m. on other days of the week. They also cannot operate on New Year's Day, Thanksgiving Day or Christmas Day. “The irony is you can go out drink tequila at thousands of locations right near package stores, the package stores are limited to 66 hours a week to sell and interact with their consumers,” Szyndrowski said. HB 1100, filed by Rep. Richard Pena Raymond, D-Laredo, would allow liquor stores to operate between noon and 10 p.m. on Sundays, and between 9 a.m. and 10 p.m. any other day. SB 785, a companion bill filed by Sen. Nathan Johnson, D-Dallas, would allow stores to be open between 10 a.m. and 9 p.m. on any six days of the week, giving store owners the choice of whether to open on Sundays in exchange for remaining closed on another day of the week. The bill would also allow stores to open on New Year’s, Thanksgiving and Christmas. Both bills have yet to receive a public hearing. Liquor store owners, however, have argued that cost of opening on Sundays would not be offset by the potential revenue stores would gain. Beer manufacturers, once they reach a certain size, have to designate a wholesale distributor to deliver their products to retail outlets. And, thanks to 2013 legislation, the brewers are required to give their distribution rights to distributors, rather than sell them. But distributors can turn right around and sell those same distribution rights to another distributor. Supporters of the law have said that it is meant to help smaller breweries get their foot in the marketplace. But shortly after the legislation was passed, Austin-based Live Oak Brewing and Dallas and Fort Worth-based Peticolas Brewing and Revolver Brewing sued the Texas Alcoholic Beverage Commission, arguing it was unconstitutional for beer manufacturers to be forced to give away part of their business for free. The lawsuit now sits in the Texas Supreme Court. You want to buy beer from a wholesaler? Gotta pay in cash. The Prohibition-era law requires that products bought from distributors be paid for before or at the time of delivery, and not using credit. While the law is still written with the term “cash,” today, its interpreted as allowing electronic transfer funds in transactions. The law has not been addressed in individual legislation this session, and hasn’t been brought up since the TABC’s last Sunset review, Donley said. Every other state allows people to buy a six pack from their local taproom. Not in Texas. 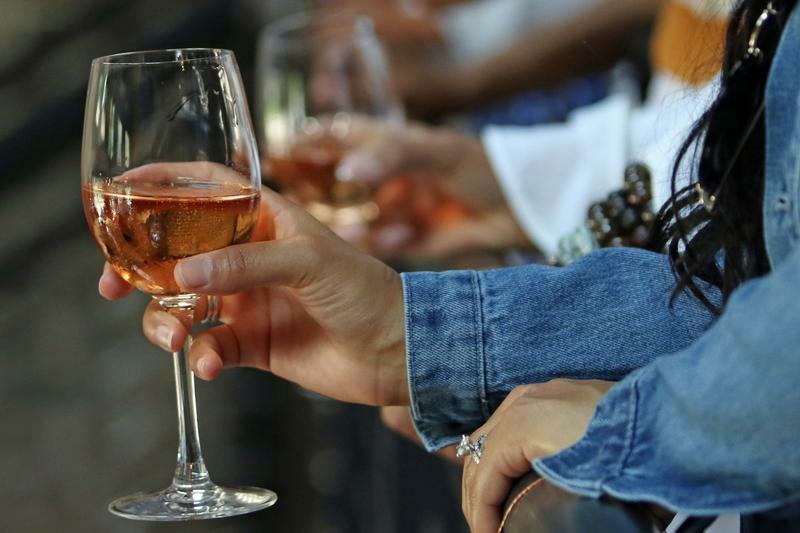 In Texas, wineries and distilleries can already make to-go sales. But craft breweries are only allowed to do so if they produce fewer than 10,000 barrels of beer each year and obtain a brewpub license. Critics say the law creates a barrier for local breweries across the state. Under current law, breweries that produce fewer than 225,000 barrels, or about 3 million cases, of beer each year can sell up to 5,000 barrels for on-site consumption. HB 672, filed by Rep. Eddie Rodriguez, D-Austin, and SB 312, filed by Sen. Dawn Buckingham, R-Lakeway, would expand the law to allow those breweries to sell beer to-go from their taprooms. In February, the Texas Craft Brewers Guild, which represents the interests of local breweries, and the Beer Alliance of Texas, which represents the interests of beer distributors, inked an agreement in the form of a proposed new version of the bills filed by Buckingham and Rodriguez. The agreement would allow craft breweries to sell up to two cases of beer per person, per day. Opponents of the bill have historically opposed beer-to-go laws, arguing that it hurts the three-tier system. 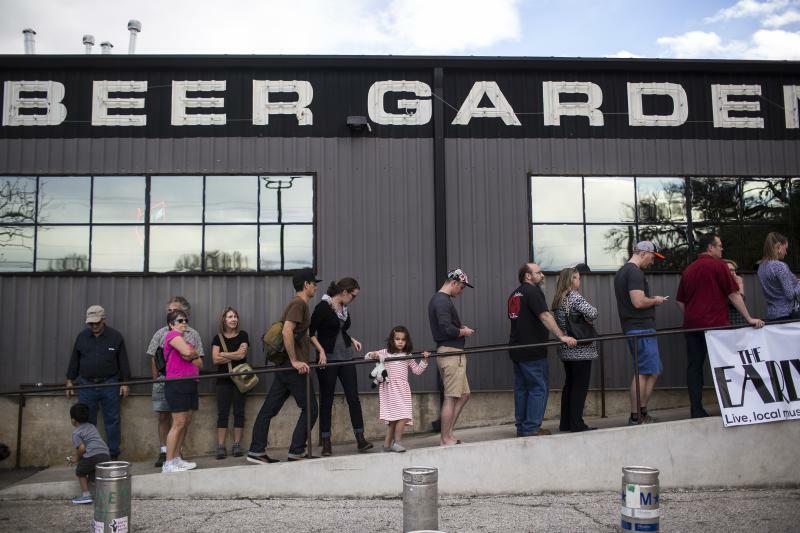 The Wholesale Beer Distributors of Texas, another large lobby group that represents the interests of beer distributors in Texas, did not sign the beer to-go agreement. Executive Director Tom Spilman said in a statement in February that the group opposed the deal because beer to-go would disrupt the three-tier system and unfairly compete with retailers. But supporters have said beer to-go would create stability in the beer market and give local breweries a much-needed chance to grow. Both beer to-go bills this session have not been scheduled for a public hearing. While versions of a beer to-go bill have come up in past sessions and failed, the truce makes the possibility of the bill passing this session more likely. And, there’s always the chance it could be tacked onto the Sunset bill during House or Senate floor debate. The Texas Tribune provided this story. See more in the Tribune's Texplainer series. Disclosure: Walmart and the Beer Alliance of Texas have been financial supporters of The Texas Tribune, a nonprofit, nonpartisan news organization that is funded in part by donations from members, foundations and corporate sponsors. Financial supporters play no role in the Tribune's journalism. Find a complete list of them here. By definition, whiskey is a grain spirit. And until now, that "grain" has been limited by federal law to four specific crops: corn, wheat, rye and barley. 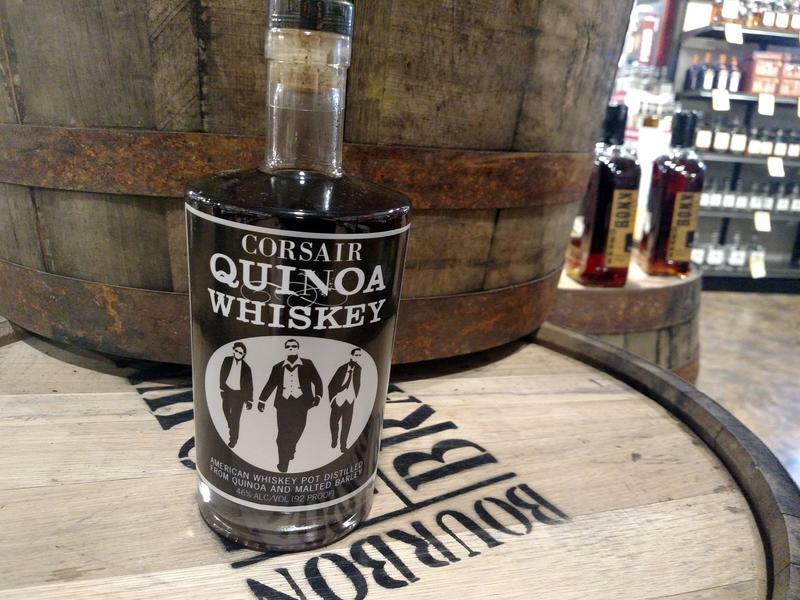 So when Darek Bell, founder of Corsair Distillery in Nashville, Tenn., wanted to start experimenting with alternatives, there wasn't really a playbook to follow.